This was a very spir of the moment visit and discovered this on Yelp, as youwould never call me a fan of "salty pig parts". Salty Pig has a very interesting menu and also a good choice I thought for non-meat eaters at least on the Pizza menu. 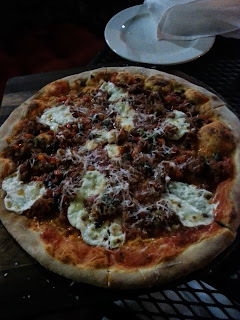 (Margherita, Broccoli Rabe, Prosciutto Cotto) I tried the Peperonata and really liked it a lot. 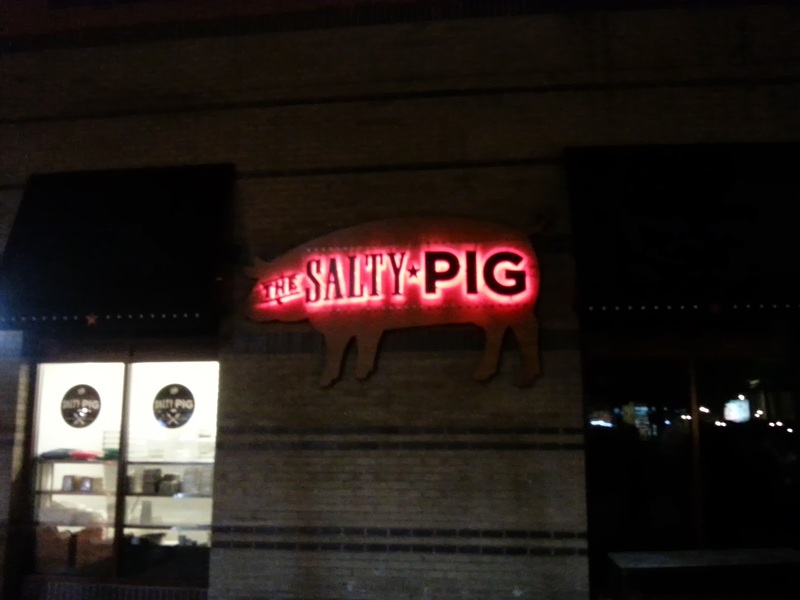 Salty Pig had a very cool neighborhood and trendy feeling. We sat outside and imagined we were in Europe. Very friendly staff and the manager seemed to chip in when the service staff were busy. I don't remember the beer I had but I can tell you that they had a good choice of special brews and of course I missed not trying the The Dirty Jalepeno. Specially when you visit a restaurant for the first time and where everyone knows each other it can be intimidating to choose from a large menu of food and drink. the staff here did a great job with recommendations. I wonder if more pictures and a seperate novice menu could be an idea the restaurant could try? As for me I am going to Google "Scamorza". I would definitely like to go back and try a few other dishes that I missed when I go to Boston next. What about you? Have you been to the Salty Pig in Boston? What do you think?